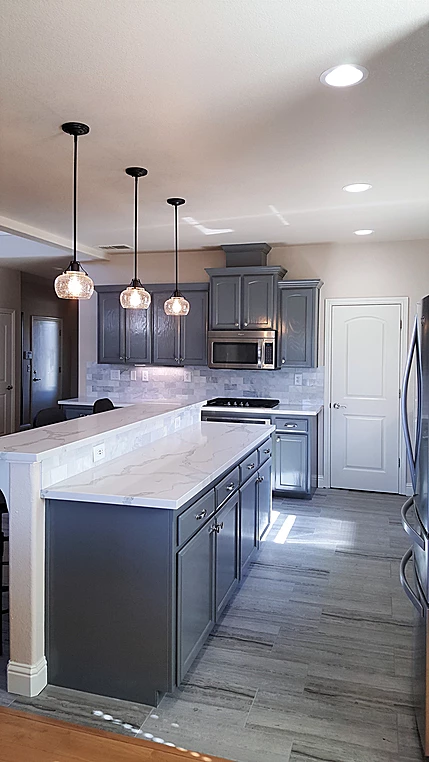 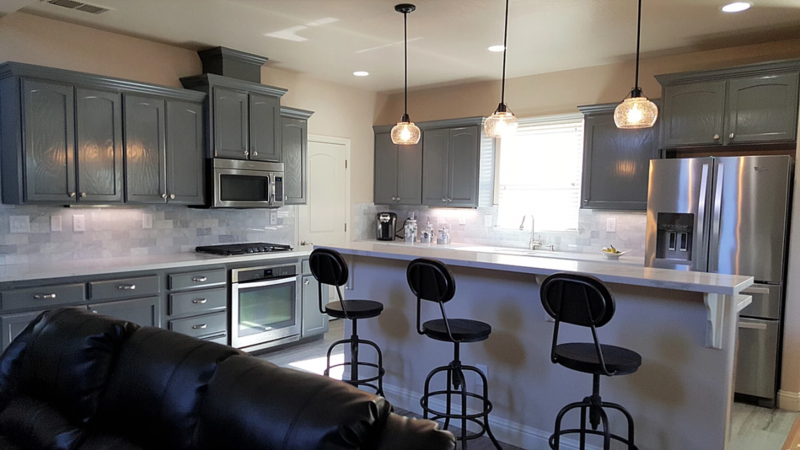 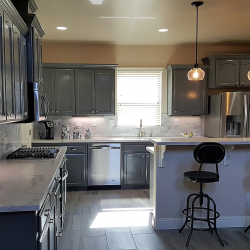 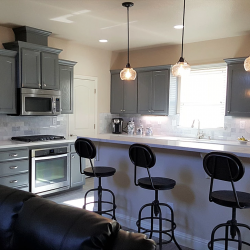 We transformed the kitchen with refinished cabinets painted grey including under cabinet lighting. 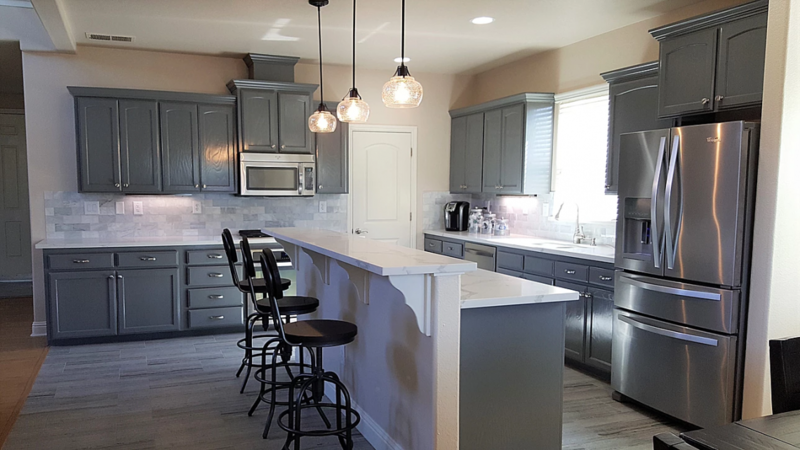 We installed pre-fab Bianco Carrara Quartz countertops with new corbels on the island seating area. 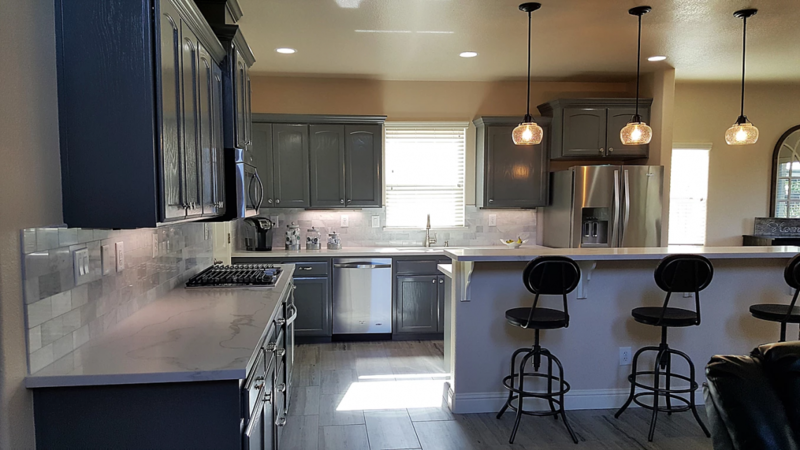 The backsplash is Anatolia Venatino polished marble 3″ x 6″ subway tile and the flooring is 12″ x 24″ Travertino Grigio matte finish. 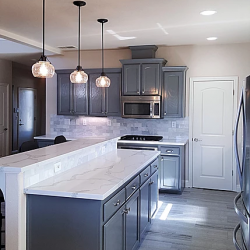 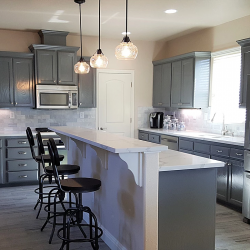 We installed new pendant lights over the island and installed new cabinet hardware to complete this kitchen update.